The ruin of Stenfors Bruk was once a large ironworks in the forests of Småland, about 7 kilometers south of the town Tingsryd. 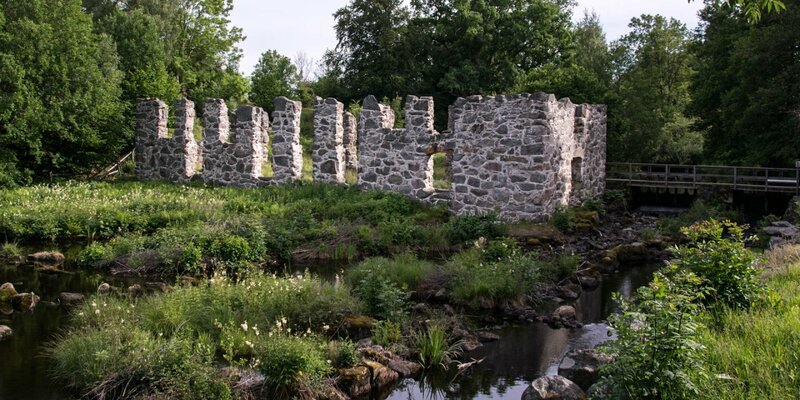 The remains of the pre-industrial plant Stenfors Bruk, consisting of a large number of individual ruins, are located in the northern part of the nature reserve Stenfors along a 5 kilometer long circular route. The path, marked with red markings, begins near the former manor house of the owner and leads through the forest. In its course are more than 15 stations where the functions of the former buildings are explained on information boards. 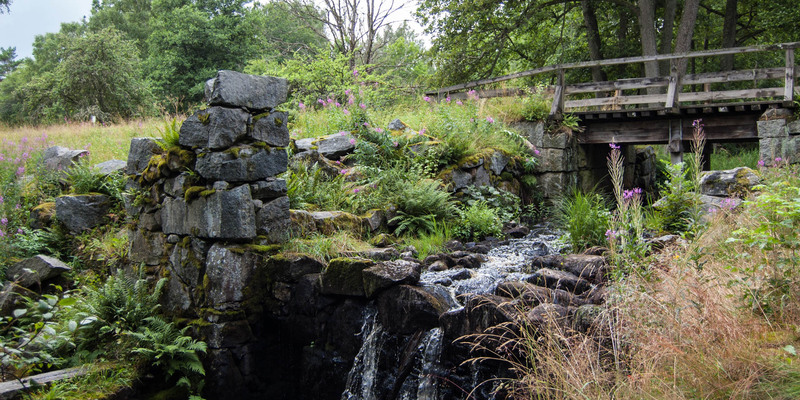 Some of the ruins are located near the river Bräkneån, which is fed by the large lake Tiken and whose hydroelectric power was previously required for the operation of the old facilities. At a small waterfall once stood a great hammer-smithy and you can see where the waterwheels were attached to the walls. Not far from it are the remains of the former coal and ore bunkers, near the spot where the blast furnace stood. When the ironworks was founded in 1697, it started operating with a blast furnace. The required energy to operate the blowers was provided by the small river, and the heat was generated by the use of charcoal, produced by numerous farmers in the area. The iron ore was gathered in the winter as ore nodules from the bottom of the surrounding lakes. Residential and commercial buildings, including a shop and a brewery, as well as other factories and a sawmill were built over time. 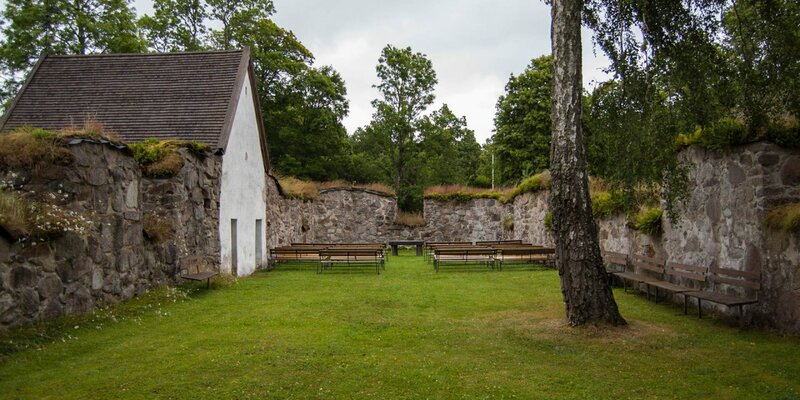 The ironworks grew into a typical Bruk – one of those typical Swedish, largely self-sufficient combinations of preindustrial factory and residential settlement. 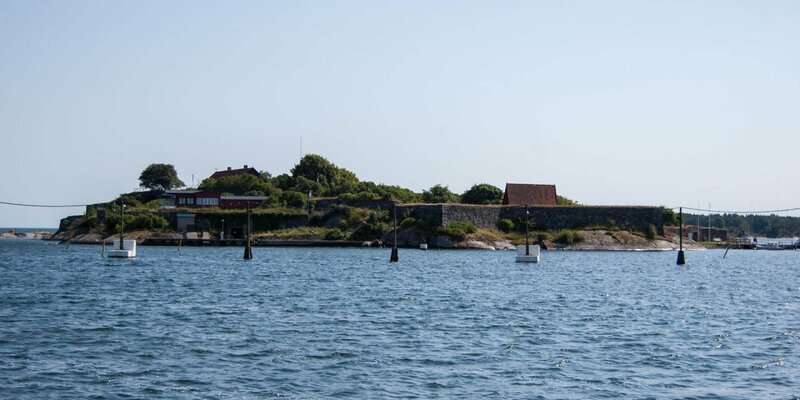 In the course of its history Stenfors Bruk had a large number of owners who resided in the manor house and directed the operation more or less successfully. The process of iron production using charcoal and lake ore was becoming increasingly unprofitable at the beginning of industrialization and led to the abandonment of the old plant at the end of the 19th century.